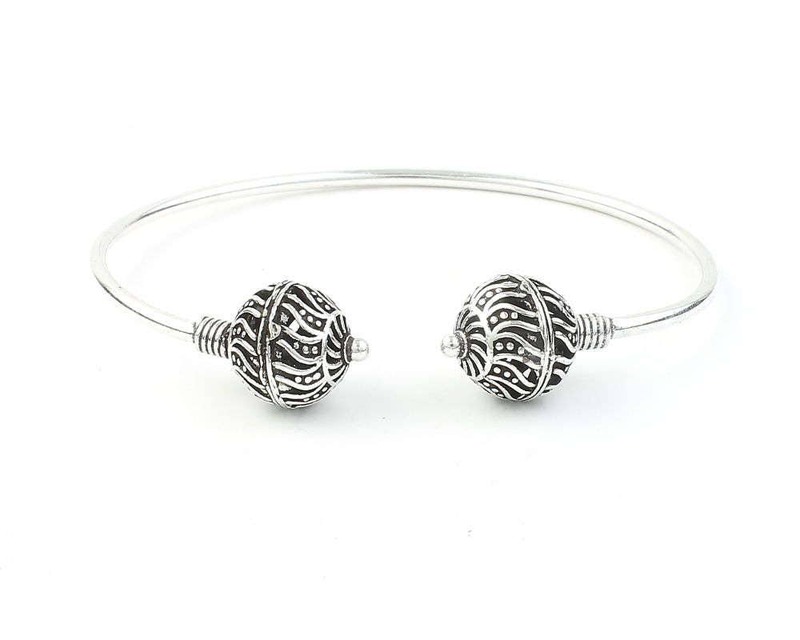 Wrap around bracelet with ornate sphere details. Perfect for a stacking piece, or can stand all on its own. Can be wore on the wrist or as a lower arm cuff.